Quickly create lush layers and smooth shadows with Prismacolor Premier Art Stix Colored Pencils. Packed with the same rich, supple leads as Premier Soft Core pencils but without the wood case to hold you back, they’re the ideal tool for instantly laying down thick blends packed with creamy color. 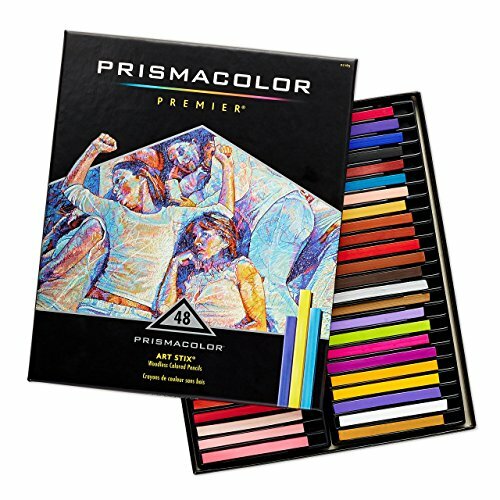 Prismacolor Art Stix coloring book pencils feature the finest pigments and can be used dull for covering large areas or sharpened into a point. Enjoy instant blends, layers and shadows with Prismacolor Art Stix Woodless Colored Pencils.